Let me be totally honest. When I first looked at this top (I actually thought it was a dress), I wasn’t super in love. BUT, y’all, when I put this outfit on, it became one of my favorite looks that I recently shot for Hadley Rae Boutique. I LOVE where it hits in the front and how it is longer in the back. 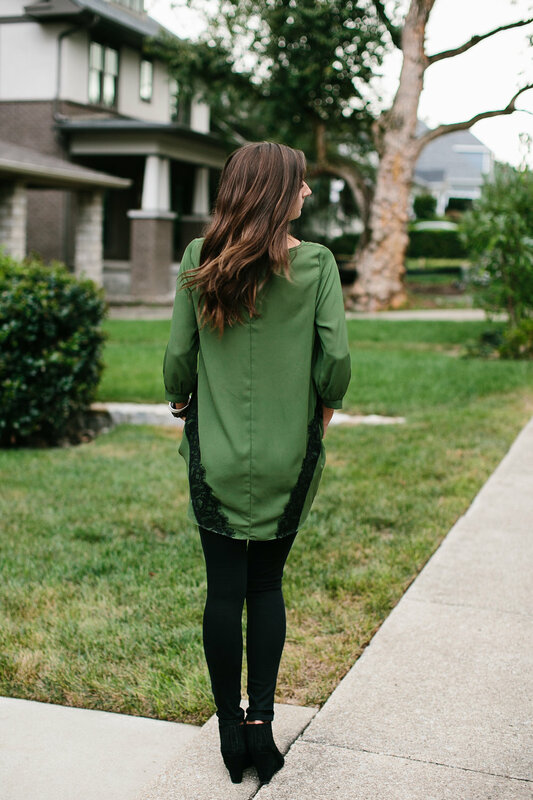 The lace adds just enough sass that you can wear it for a night out on the town while still feeling… my favorite way to feel… comfortable. Oh, and the price. You guys, I am telling you, Hadley Rae has figured this part out. You can’t beat it. And now, I will admit that I judged something before actually giving it a chance. Sound familiar? I do it all too often. Do you? Most days, we get presented with situations that we are not too excited about. No, I do not want to walk into this meeting. No, I do not want to go to this event. These are the “you have to go because you are supposed to go, but you really don’t want to go” kind of situations. You complain, roll your eyes, and do whatever you were supposed to do with only half the effort. You DO NOT want to be there, but you go anyway. henever I am presented with moments like that, they ALWAYS turn out to be the best thing for me that day. Suddenly my HAVE TOs become my NEEDED to without me even realizing it. I call these my “Added Bonus(es)” because I am always left learning something that I never saw coming. When I walk away from those situations and can see why God brought me there, it is the best type of bonus that could be added to my day. There is no greater gift (well, in my humble opinion) than seeing exactly what you think God is wanting you to see. It’s as if His guiding steps present you with a feeling of peace. What “added bonus” has God brought into your life lately? Has it made you look at other situations differently? Today, if you are presented with an added bonus, I pray that you see God’s hand in the moment. He is always speaking to you. Somehow, some way, He is letting you know His plan for you. I pray you see that. And I hope you find an outfit that surprises you, too; because, let’s be honest, who doesn’t love finding that outfit that just works for you?